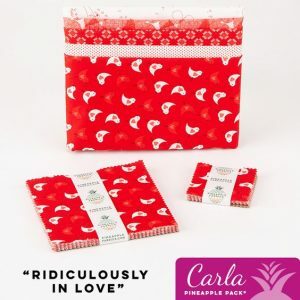 Love is in the air at Pineapple Fabrics and we want to spread it around. Make February fun & festive with these suggestions on how to love the month. 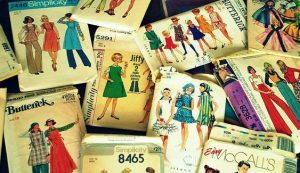 Host a Pattern & Stash Swap ~ Everyone brings copies of their favorite patterns and fabric that they think they can live without. Spend time during your swap discussing patterns, giving and getting advice and tips if needed. The stash swap is simple: everyone leaves with same amount of fabric they came with (just different). Challenge yourself to a new project ~ Step out of your comfort zone and sew up something that you can show off everywhere you go. We suggest this Cute Clutch Kit featuring Tula Pink Fabrics. This Cute Clutch from Tula Pink is the perfect addition to any wardrobe! 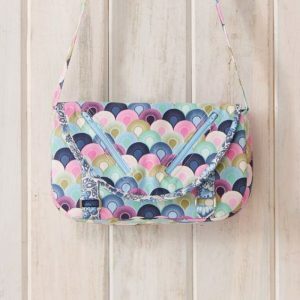 This stylish bag has many fun features that make it unique, such as zippered flap, hardware on the body of the bag, contrasting piping and great fabric from Tula’s Moonshine collection. Try a new dessert ~ You can’t talk about February and not have chocolate come to mind. 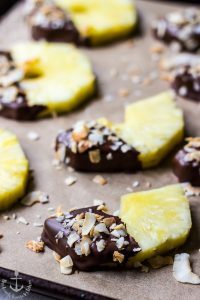 We think these Chocolate Dipped Pineapple Slices saved to our Pinterest page Cooking with Pineapple will be the perfect dessert to try! (We are partial to Pineapples) Easy, yummy & festive. Sew something for someone you love ~ What better way to show someone you love them then taking the time to make something just for them. If you are familiar with our Pineapple Packs you know new groups are always coming out & once they are gone they are gone. The following packs Ridiculously in Love & The Apple of My Eye are right on time for Valentine’s Day. 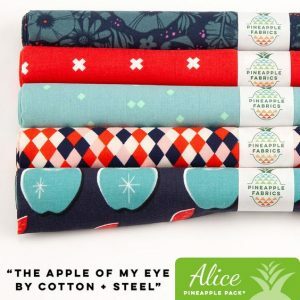 Make sure to check Pineapple Fabrics website for all new packs. *free pattern with purchase of Pineapple Packs. Road TRIP! Plan a trip to come see us at the Winter Warehouse Sale. We are changing things up this time and focusing on getting some of this yardage out of the warehouse. Pineapple Fabrics is made up of only quilt shop quality fabrics ~ let your fabric friends know! Sending LOVE & appreciation out to all of our Pineapple customers & workers!